I was lucky enough to be part of last years trial for Toddlebike and the lovely Jo Hockley. 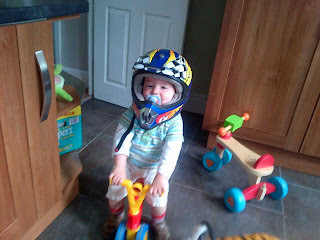 It occurred to me when Jo asked for the next batch of testers that it had been a year that we had been toddlebiking. Harry got his Toddlebike at 18mths and after a few false starts he was away. The fact it is light enough to be picked up by a small toddler meant it came everywhere with us and the design meant that if he got fed up and wanted to walk, it was easy to hang on the buggy. I may suggest to Jo a carrying strap for days when you are without the buggy. Harrys love of his toddlebike, meant that for a while he turned into a miniature Madge from Benidorm choosing to scoot everwhere, even in the house rather than walk. One morning he managed to get his entire breakfast ready and eat it without ever getting off his trusty steed! As I mentioned in my review on the official site, the fact he used it so very much meant his transition to two wheels was very rapid indeed. 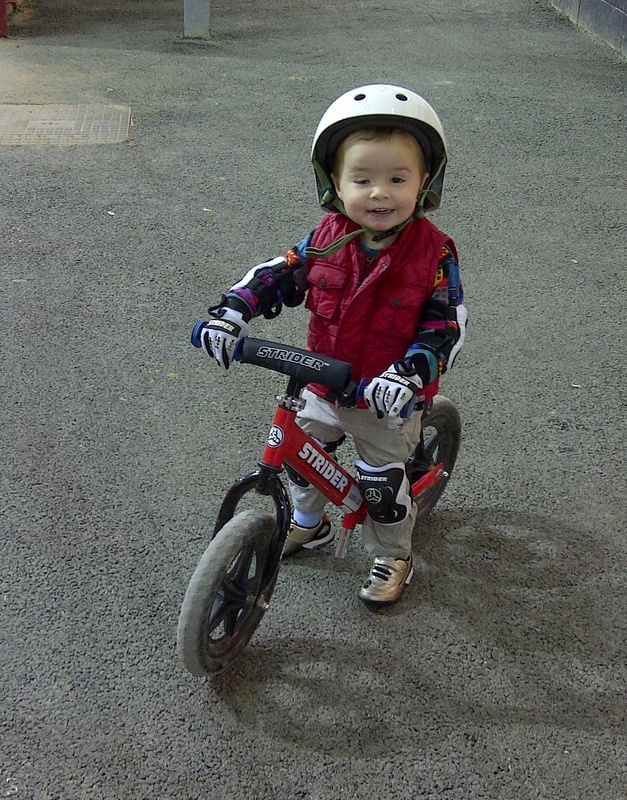 He had his second birthday party at one of the Strider Cup sessions at the Velodrome in Manchester. We even made an appearance on BBC Breakfast! 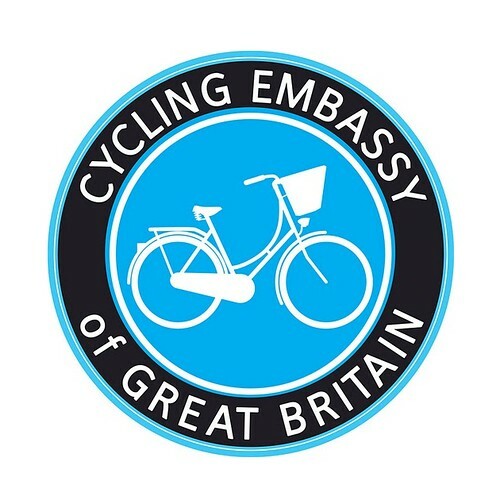 So 12 mths after and now having progressed onto two wheels is our relationship with Toddlebike consigned to the past? Well I will admit, I thought it might be. It was what I had expected. But considering the price of Toddlebike, I didn't mind one bit. But no! A year later and it is still without equal in the played with stakes. It is an almost constant companion. Perhaps it is because we are lucky to have enough indoor space for him to scoot, I don't know. I had thought about donating it to his Nursery, but they will have to wait quite some time I think! I genuinely can't say enough nice things about Toddlebike. I wish the company and Jo every success for the future. Mr Pickles has squarely laid the blame for failing High Streets at the feet of poor old parking attendants. The whole sorry mess of boarded up shops and neglected ghost towns, its all the fault of some poorly paid person, who walks the streets everyday trying to make a living by enforcing rules that they have had no hand in shaping. It even lead to one 'journalist' to call them names like Urban Pests. Cristina went on to say "I blame traffic wardens for local shops' slump in sales, restaurants' empty tables, and over-congested roads", yet she has no evidence to back up this claim. And lest we forget that tabloid journalists are not renown at present to being truthful, or basing anything on fact. But back to Mr Pickles. He believes "I believe we need to give people the good grace to pop into a local corner shop for 10 minutes, to buy a newspaper or a loaf of bread without risking a £70 fine." Mr Pickles, may I suggest that you don't need to drive to your local shop? That is is this fact that damages local business. The fact that our streets have become such unpleasant places to be, that people feel compelled to travel everywhere in their own 2 ton VIP section of tin box? Surely you can see that this is unsustainable. We have to enforce parking outside local shops because of fat lazy twats in their cars who will only drive everywhere. I am generalising, but hey, take a look in a mirror some time Mr P.
Why are people still blaming parking as a reason? I went to have a look at our local council to see if they were to blame. I like blaming them for all sorts. Oh, bugger, 10p for an hours parking. Hmmmm I am sure Cristina and Eric can stretch to 10p to park? Then Mary Portas jumps on the band wagon. I am beginning to sense some sort of collusion as this is not the first time their names have been linked. Have they changed anything? Not as far as I can see. And I sense an uneasy backlash building among the Portas towns where regeneration is supposed to be happening. Tales of money being spent on Peppa Pig outfits do nothing to give the project credibility. But it is quite simply that they are paying lip service to the whole process of regeneration. It is a complete smoke screen to appear caring without having to do any actual work. To stop High Streets failing will take real political will for things to change and investment at a time of austerity and I very much doubt our current Govenment have the backbone for such an undertaking.